We offer an SEO consulting service that will deliver results for the keywords that are important to your business. What is SEO? Search Engine Optimization or SEO is a term that has been around for years. In the beginning, SEO was all about keywords. Everyone was asking which keywords are people searching for, how long will it take for me to rank for my keywords and how much money am I going to make once all of my keywords are listed on the first page of Google? If we had a dollar for every time we heard some variation of these questions, we would have retired many years ago. However, over the years optimizing the pages on your site to appear higher in the search engine results page (SERP) has gone way beyond just keywords. Site speed, mobile optimization, canonicalization, duplicate content and social media have all contributed to the algorithms that the search engines use every day. Although these complex algorithms may seem mysterious or confusing, the engines themselves do provide some insights into how to achieve better results to possibly increase traffic over time. Content is constantly being created on the Internet. The search engines allow this content to be stored and categorized so it can be accessed in seconds when someone is searching for information on a particular subject. Hundreds of factors go into delivering quality content (search results) that is relevant to the subject matter someone is searching for. 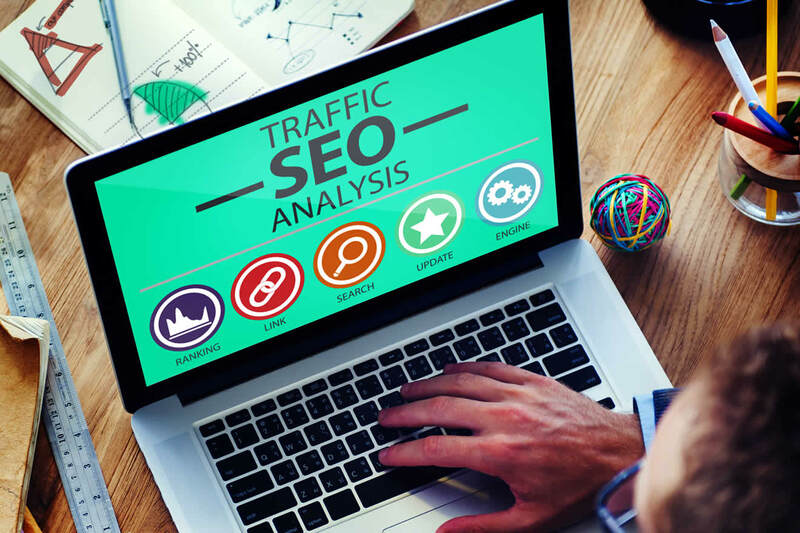 A quality, long term SEO strategy optimizes the content as well as the site structure of your site to allow your data to be found. Imagine going to the grocery store and not knowing where the whole milk is compared to the skim milk. What if they were not together but in two separate aisles…and nothing was marked! How would you ever find anything? You would probably get frustrated and leave. That is why SEO is important. It allows your content to be quickly understood by not only the search engines, but also by anyone searching for information that your site provides. For some digital marketers it all starts with a Sitemap, which is basically a Table of Contents for your site. Your Sitemap is an outline of what your site is about. It must be easy to understand for both the search engines and the actual person on your site. You must also have a site that is easy to navigate and pleasing to the eye for the end user. Keyword Research is where it all begins for any SEO Consultant. What words do you think people will use when they search for your product or service? Are people searching for any other variations of that keyword? How difficult will it be to rank for that keyword? These are just a few of the questions that a good SEO Consultant will be able to answer for you in detail. If Keywords is where it begins for SEO, linking is where it ends. It’s quite simple, one of the best ways for the search engines to determine if a site is relevant is to see if any other sites are linking to it. If there are a lot of links, then the content must be relevant. But be careful, it’s not that easy! Many black hat tactics such as link farms, cloaking and keyword stuffing have been flagged by the search engines to actually penalize a site for trying to take short cuts to the top. One of the final steps when conducting a long term SEO strategy is constantly measuring the results. Creating a process of routinely checking tools like Google Analytics and MOZ will alert you to any opportunities and whether or not a change is in order. This is the magic and skill that an experienced SEO consultant provides. Over time, knowing when to make changes, or when NOT to make changes, can sometimes make all the difference between a site that ranks well in the search engines and one that ranks poorly.